You may be surprised to know that I’m a real history buff. I know all about art history, and World War II, and The Renaissance, but recently I wanted to brush up on my U.S. presidential history. While researching, I stumbled across some fascinating facts about the swag industry! 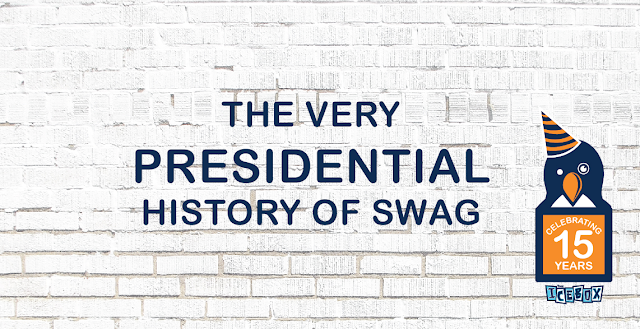 You heard that right, the swag industry has its roots in presidential politics! 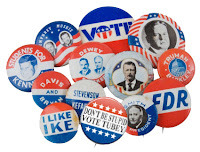 According to Promotional Products Work, “The first known promotional products in the United States were commemorative buttons, tracing back to 1789, when George Washington was elected president.” This was truly the first time items had been used not only for their proper function, but also as a method of advertising and spreading influence. From then on, entrepreneurs and forward-thinkers alike have evolved the idea of building brand recognition and engaging constituents (i.e., voters, consumers, employees, customers, etc.) by putting their names and logos on products that the intended audience desires. 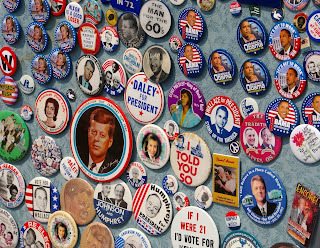 This includes the aforementioned presidential campaign buttons – now collectible – to shirts, hats, bags, magnets, water bottles, and so much more. The test of time has shown that these tactics work! 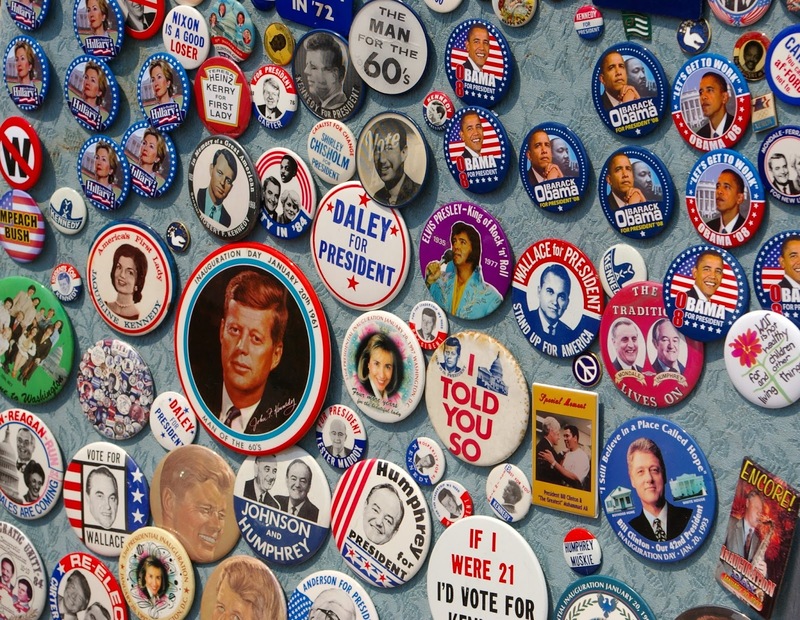 Modern-day political candidates are sticking with the idea that swag is an effective means to increase awareness and foster a community of loyal supporters across the country. These days on the campaign trails, you see tee-shirts, hats, bumper stickers, banners, yard signs, and tour buses. 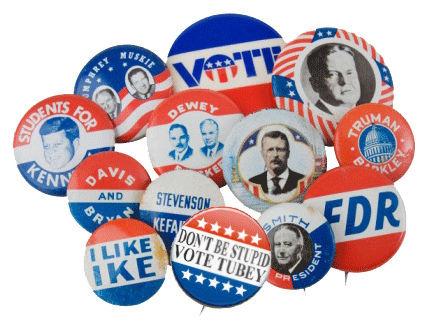 Maybe you are like me and you won’t run for president (yes, I know that penguins aren’t eligible, I already checked), but you can still use swag to get the word out about your company or your passion to increase brand awareness and engagement within your community. Looking to amplify your brand and stand out amongst the competition? Our Creative Solutions Experts are here to help you develop unique, impactful, memorable swag concepts that will leave a lasting impression and earn you the all-important votes, new customer or employee commitment. Contact us today.